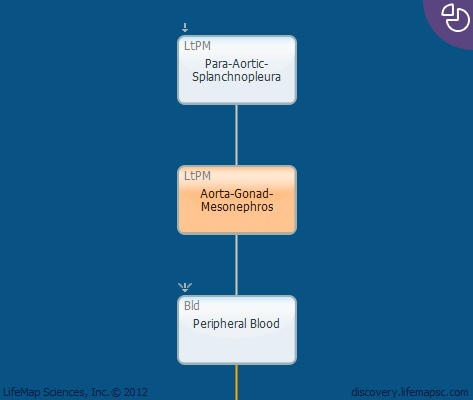 The aorta-gonad-mesonephros (AGM) region extends from the umbilical cord to the anterior limb bud and contains the dorsal aorta. At around E11 (mouse), or day 22.5 of gestation (human), multipotent hematopoietic cells from the dorsal aorta colonize the fetal liver (liver bud). Notch1 signaling is important for hematopoiesis within the AGM but not within the yolk sac.